This was a bit of a shock. I’d never come across this before. 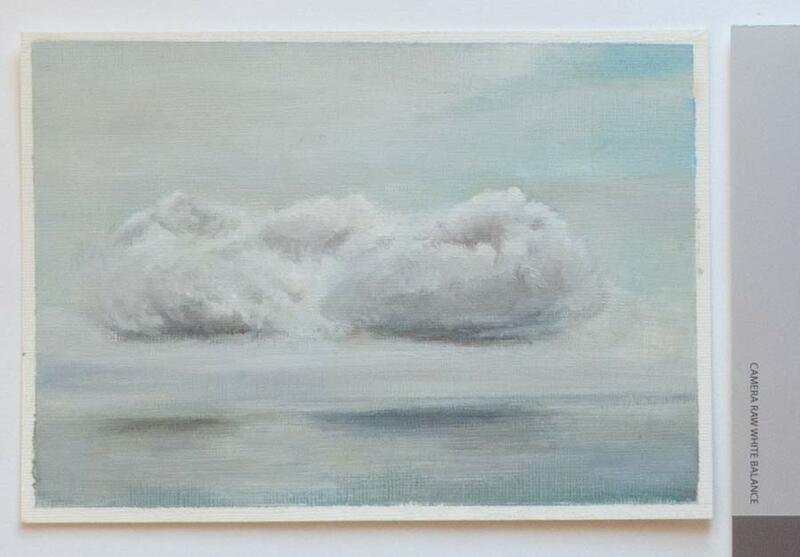 This is an old oil sketch I made back in 2014 on postcard-sized gessoed acrylic paper. It was kept for a good part of those four years in a stack of other similar oil sketches. I took it out recently to find yellow-brown splotches all over the painting, and the whole picture had a colour cast. At first, I thought oil from the back of another ungessoed sketch had soaked through the paper on to the surface of this one. I wasn’t particularly concerned about this painting—it was just an experiment to try things out—but if I’m using a technique that is flawed then I need to correct it. It’s easy to get a bit obsessed with archival methods for making a painting, and as someone once said, there are paintings that will last a hundred years that should never have been painted. But, I would like to make objects that will be around for at least a few decades without falling apart. I looked online and discovered the phenomenon of dark yellowing. As the name suggests, the linseed oil in paintings kept in low light or dark conditions can go yellow and darken dramatically. The cure, thankfully, is simply to expose them to light again. 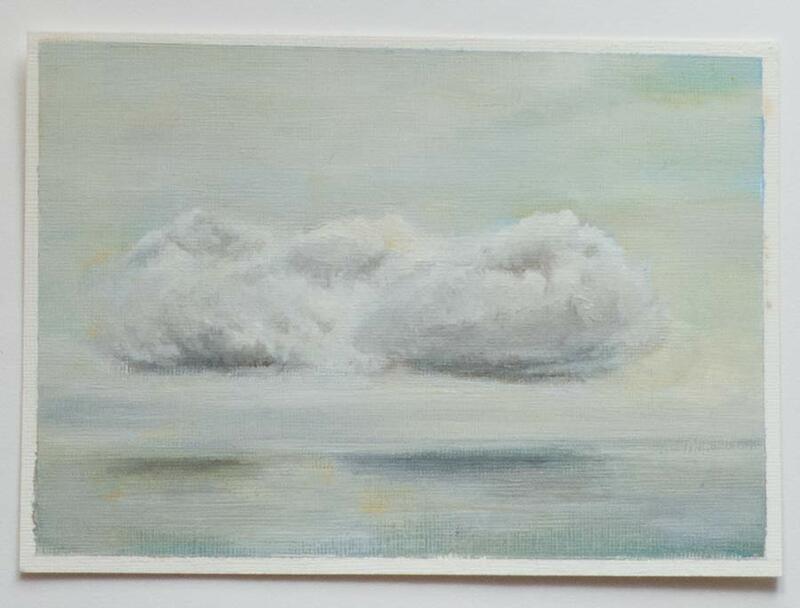 I put the cloud sketch on the windowsill for a couple of days and the yellowing disappeared. If only all oil painting problems were as easily fixed.